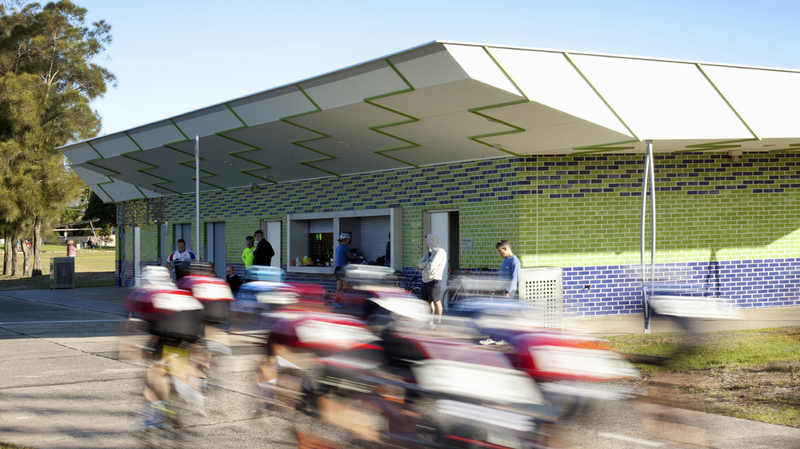 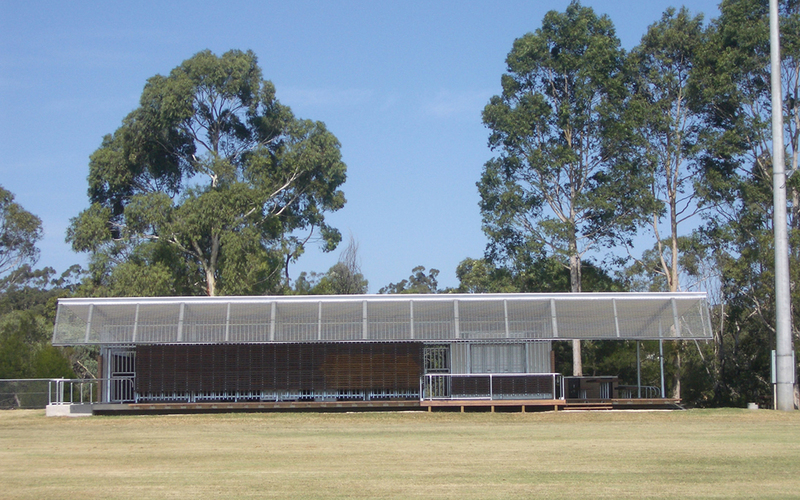 This long, robust ‘field house’ provides amenities including toilets, change rooms, canteen and undercover seating for the Holland Road Reserve playing field. 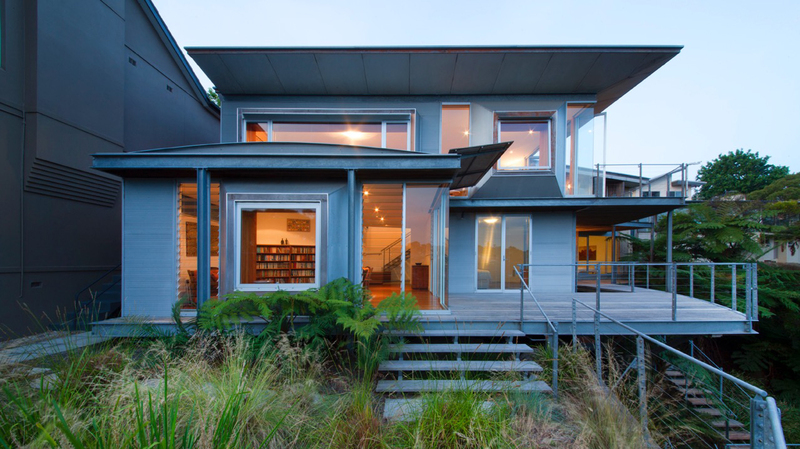 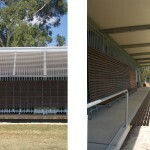 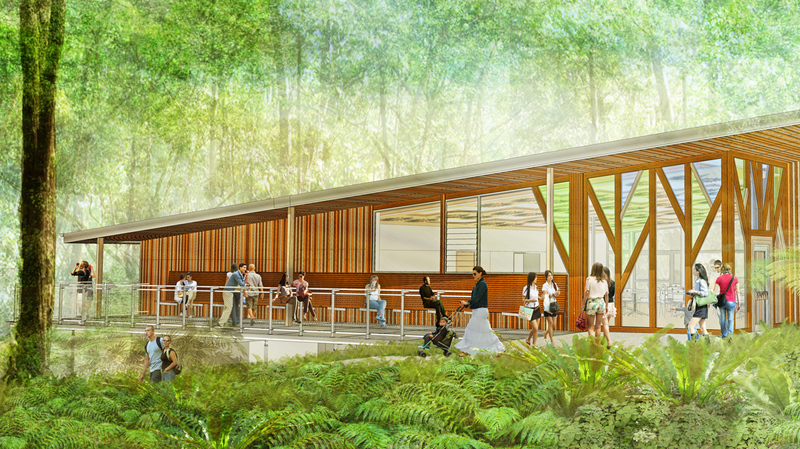 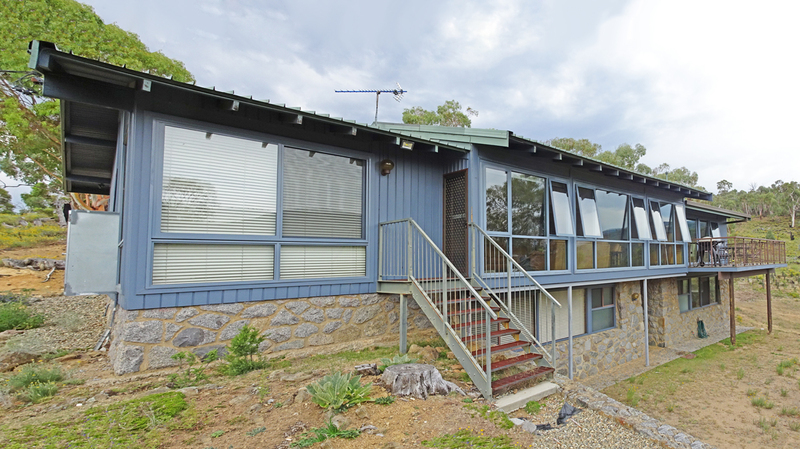 The site is surrounded by bushland and a high degree of security was required for the building. 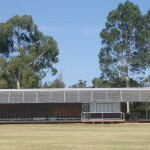 In response to its western orientation, a deep sunscreen is provided along the field-side elevation. 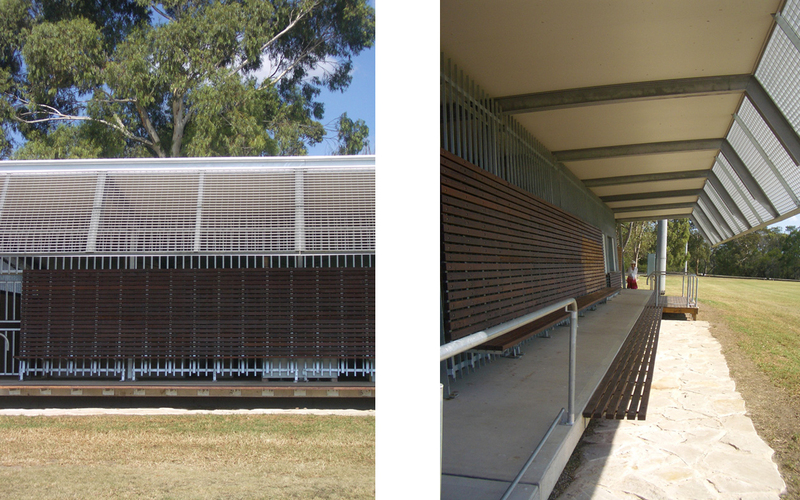 The building processes its own sewerage on site and rainwater is collected for the flushing of toilets.